Welcome to Paradise! You CAN Have It ALL! Magnificent home in one of Boca's Best Kept Secrets, completely renovated w/designer touches galore & incredible attention to detail. Enjoy your newly renovated gourmet kitchen, w/Italian cabinetry & custom island. Your master bedroom en-suite boasts a luxuriously renovated bathroom & custom wood closet. Relax w/the ambiance of antique cream Milwaukee brick & Jerusalem Marble floors. Entertain family & friends w/your beer tap, & outdoor tropical paradise- the best of both worlds, w/screened-in patio w/summer kitchen & serene long lake view AND private open pool area. No worries w/your complete impact protection & newer roof. 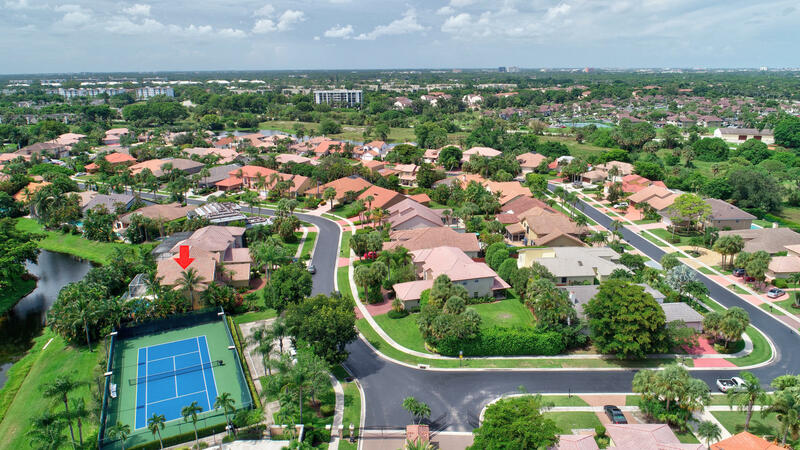 A-Rated schools, central Boca location make this choice easy! Come see this designer showplace & make La Joya your new home!